Amethyst is a stone of purity, transformation and spirituality. It is an excellent meditation crystal which can be used to awaken innate psychic abilities and aid in communing with the Divine. Amethyst works on the third eye and crown chakra. It is a highly spiritual stone, and is one of the most widely-used stones for crystal healing. 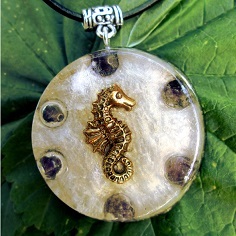 It is an especially good stone to use for psychic protection and protection from negative influences. It is a good aid against depression, and it enhances feelings of happiness and peacefulness. It can also bring inner stability and strength where it is needed. It can help in healing personal losses and grief. Amethyst is a fantastic all-pupose stone for anything involving the psychic and spiritual realms. It enhances intuition and psychic power by connecting you to the other planes. If you need an aid for meditation or lucid dreaming, amethyst is a good choice. It can be used to enhance telepathy, clairvoyance, clairaudience, past life regression and communication with angels and spirit guides. 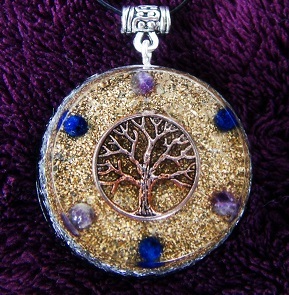 It can be used during astral travel to protect oneself. Amethyst is also known as the sobriety stone. It has been used since ancient times to prevent drunkenness and for aiding people in overcoming addictions. If you have problems wwith alcohol, drugs, smoking, gambling or any destructive behaviour, amethyst will be a powerful ally in overcoming these addictions. 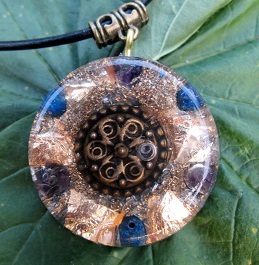 If you want to buy an amethyst orgonite pendant, including the ones pictured on this page, head over to the amethyst orgonite section on the Orgonise Yourself Store.